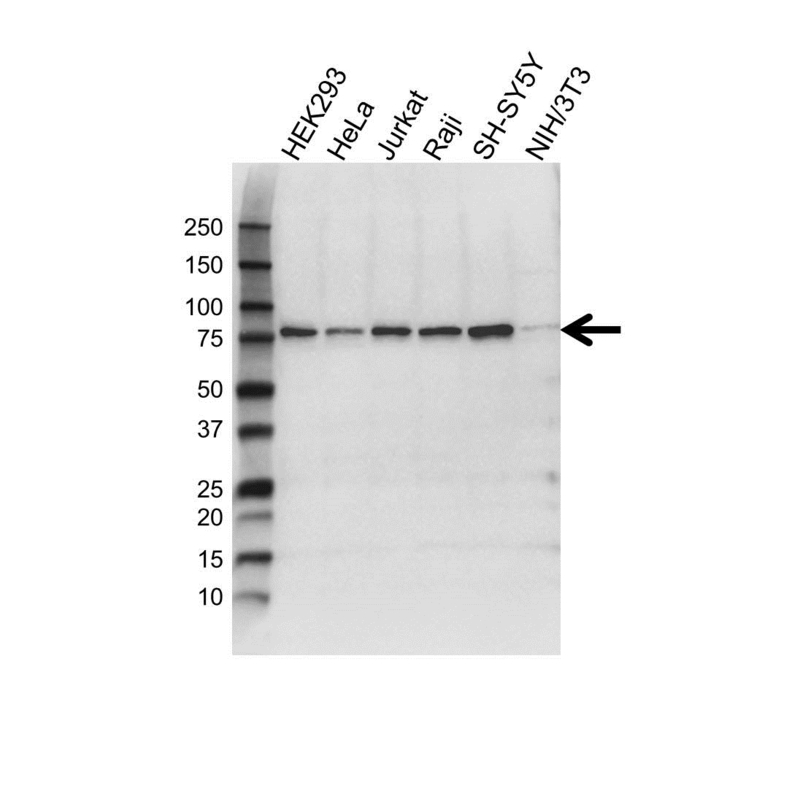 Mouse anti human NUB1 antibody recognizes NEDD8 ultimate buster 1, also known as negative regulator of ubiquitin-like proteins 1, BS4, renal carcinoma antigen NY-REN-18 or NYREN18. This antibody has been extensively validated for western blotting using whole cell lysates. Mouse anti Human NUB1 antibody recognizes the NUB1, also known as negative regulator of ubiquitin-like proteins 1, NEDD8 ultimate buster-1, BS4, renal carcinoma antigen NY-REN-18 or simply NYREN18, . The NUB1 gene encodes a protein that functions as a negative regulator of NEDD8, a ubiquitin-like protein that conjugates with cullin family members in order to regulate vital biological events. The protein encoded by NUB1 regulates the NEDD8 conjugation system post-transcriptionally by recruiting NEDD8 and its conjugates to the proteasome for degradation. This protein interacts with the product of the AIPL1 gene, which is associated with Leber congenital amaurosis, an inherited retinopathy, and mutations in that gene can abolish interaction with this protein, which may contribute to the pathogenesis. This protein is also known to accumulate in Lewy bodies in Parkinson's disease and dementia with Lewy bodies, and in glial cytoplasmic inclusions in multiple system atrophy, with this abnormal accumulation being specific to alpha-synucleinopathy lesions. Alternative splicing of NUB1 results in multiple transcript variants (provided by RefSeq, Aug 2011). Mouse anti Human NUB1 antibody detects a band of 78 kDa. The antibody has been extensively validated for western blotting using whole cell lysates.